This Family Bible is of superior quality. Easily one of the most elegant ever published, this Bible will enrich the beauty and Christian spirit of your home now and for generations to come. 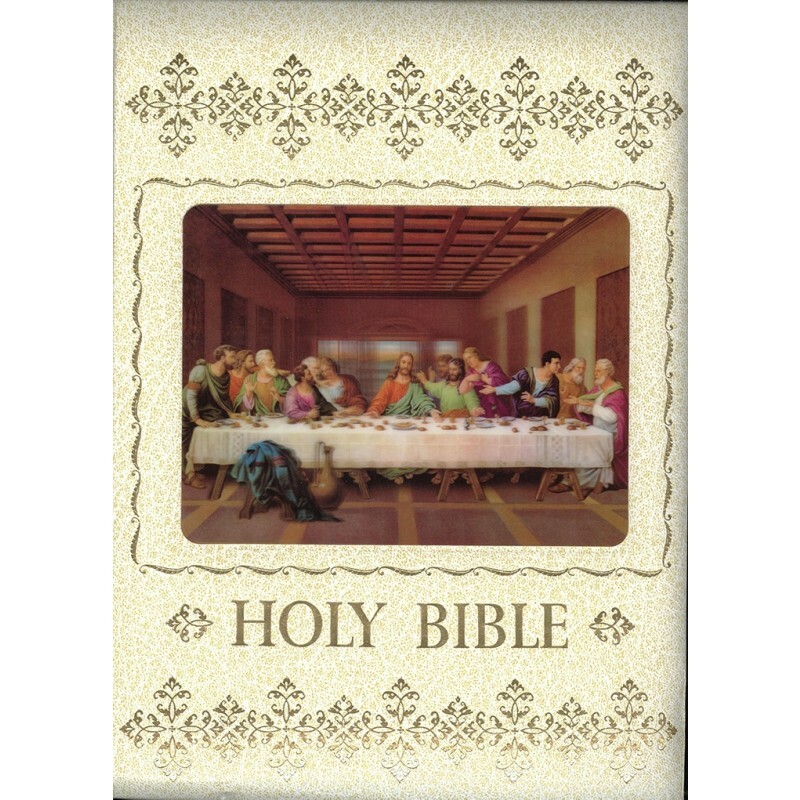 This deluxe Family Bible is an ideal gift for weddings, anniversaries, housewarmings, holidays — for any special occasion! Included in this distinctive Bible is a Dictionary, Index and Concordance with more than 10,000 entries in alphabetical order. 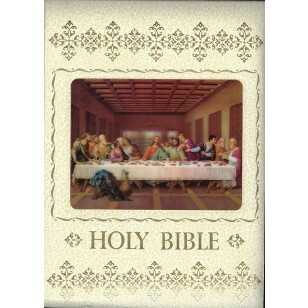 With its comprehensive supplemental material, this edition is more than a deluxe family Bible. It is a complete Bible study course that demonstrates to the Christian family the beauty of the word of God and helps them to mine its riches. Preferred by readers for study and for devotion, the Authorized King James Version is the perfect text for a Bible designed to last for generations.